Authorised copies of the 16 February Independence Act; typewriter having belonged to diplomat and author Ignas Šeinius that he wrote his works with; a map collection of diplomat Stasys Lozoraitis. These are but a few items from a large collection of Lithuanian heritage that, after much effort, has been returned to the country. Vytautas Žalys, the Foreign Ministry's ambassador for archives and Lithuania's ambassador to Canada as of the beginning of August, calls it a good start. Due to historical upheavals, Lithuanian documents have been scattered across the world and retrieving lost valuables presents a considerable challenge for Lithuanian diplomats, archivists, and academics. “Archives are like people, they have their own life cycle: They are born, they die, travel, disappear, then reappear again. Lithuanian heritage is spread wide, some documents and artefacts are in Russia, in North and even South America. The most important task is to know where everything is kept,” says Ambassador Žalys. And that is no easy task. But as difficult as it is to find lost artefacts, getting them returned to Lithuania is even more so. “It never happens that you just go to foreign country and say: Well, what documents of ours have you got? What do you think the answer would be? Retrieving archives is a difficult and delicate task. No one wants to give anything away,” Žalys says. There has been a breakthrough achieved over the last several years – Lithuania has recovered some valuable heritage. 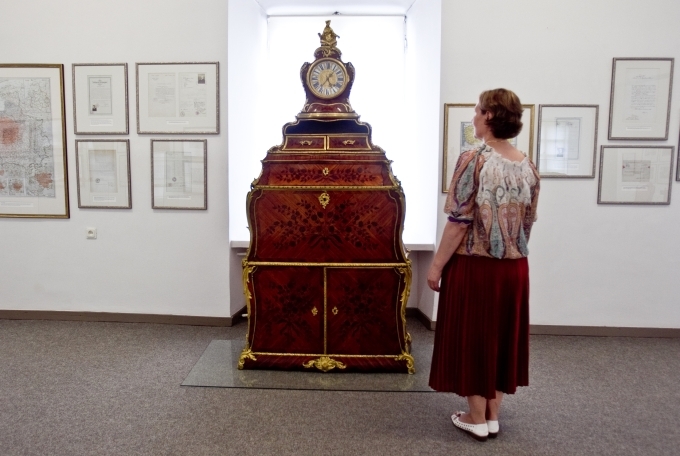 Some impressive pieces were brought from an archive in Rome that belonged to Lithuanian foreign minister and diplomat Stasys Lozoraitis, his family members, and the Lithuanian Embassy. Besides documents, the collection contains the embassy's furnishings, a set of valuable maps, awards, a huge library, unique photos, even weaponry. According to Žalys, Ambassador Lozoraitis' archives contain documents that no one previously knew even existed. For example, a report by Jurgis Šaulys, diplomat and Independence Act signatory, about his conversation with Jozef Pilsudski. Sometimes retrieved documents seem like a gift from God, as you don't expect to ever find them. “It turns out that Šaulys secretly went from Kaunas to Vilnius to meet Pilsudski and later compiled a 30-plus-page report about the conversation that took place between them. This unique document made its way to Lozoraitis' archive and today, we finally had the opportunity to see it in the Central State Archive,” says Ambassador Žalys. He says that another archive that has recently been returned to the country – that of inter-war Lithuanian diplomat Ignas Šeinius – was not supposed to survive. The owner was ordered to destroy it before the war. Šeinius sent a wire to Kaunas confirming he had burnt all documents. The telegram survives too. It was a lie – the archive was handed to Šeinius' family to protect. Šeinius' archive, too, contains something more than just documents. Lithuania received a typewriter that the author wrote his works with and an excellently-preserved suitcase that Šeinius had when he arrived in Stockholm in 1915. Žalys says that the country should also thank the Government of Canada that decided to return archives of Lithuania's consul general. According to him, the two cases – of Sweden and Canada – show that the world is changing and countries are able to cooperate in this area. “Sometimes retrieved documents seem like a gift from God, as you don't expect to ever find them,” says the ambassador. Žalys refrained from revealing if negotiations were underway with any country over handover of archives. “That is something not discussed aloud, as the issue is very delicate,” he explains. Žalys recounts how he was going to Ulyanovsk in Russia in the early years of independence to bring back KGB archives, after Russia's president at the time Boris Yeltsin had given his permission. “We brought eight tons of documents. If we managed to agree with Russia on returning some KGB documents, I believe that we will agree on other documents too, ones of less sensitive nature,” he hopes. If, however, a foreign country refuses to give away archives, it is still possible to ask to make copies of the most important documents. No one can tell what documents ended up in private collections. “I don't know much about the world of collectors, but I have no doubt that their collections store veritable treasures,” Žalys says. He admits that the state could pay more attention and resources to searching for important documents and lost heritage in general. Other countries, he says, spare no expenses to that end. “If we want to locate, let alone retrieve, at least some of our lost heritage, we cannot leave it to chance or to exclusive care of the Foreign Ministry or individual people. Lithuania must put together a group of real professionals who could at least determine what exactly we've lost and where the heritage taken away from Lithuania could be held. I must regretfully say that the work is not finished yet. I'm not saying nothing is being done to that effect, but we still don't have a clear picture,” he stresses. A “thank you” often does not suffice to get hold of important archive documents. Some countries, the ambassador says, agree to pay for them. The article originally appeared in a 15min supplement "My World" which is a joint project of 15min and the Lithuanian Ministry of Foreign Affairs.